This week and next I have two art shows closing, so please go see them before they go away! 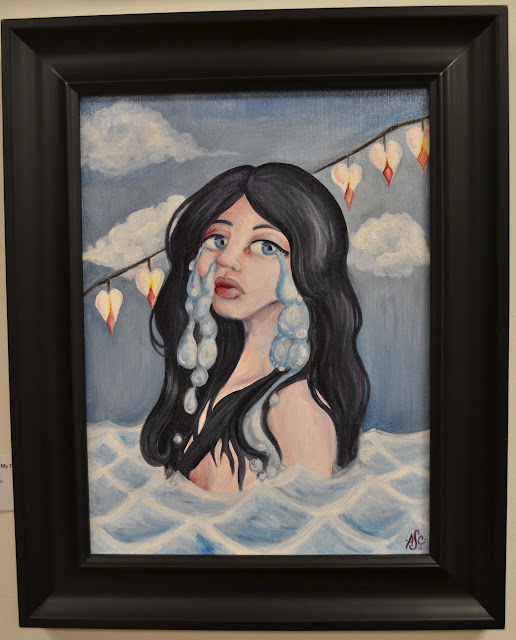 "Don't Leave Me Drowing In My Tears"
"Visage" my new works show- where you will see a lot of surreal oil, acrylic, and mixed media portraits and women will be at Red Dirt Artists and Gallery the rest of this week, closing October 12th. They just added new hours and changed up their floor plan right after my opening so there's lots of time to catch their wonderful artists and fresh look at your convenience! I have really enjoyed showing my work at this space. Up next Red Dirt is having a juried show for students. 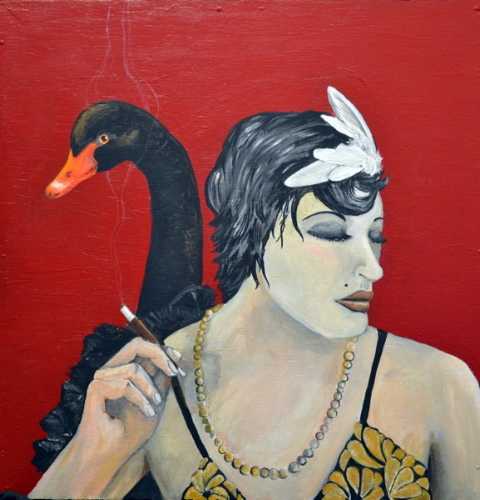 "She's an Odd Bird: The Black Swan"
available at First Edition until Oct 16th, prints available. Also I will be picking up unsold works from First Edition Cafe and Espresso Bar on Tuesday October 16th. If you see something you like hanging up downtown, let the lovely ladies know before then- and be sure to grab a panini (they make some YUMMY sammiches and vegan stuff too!). Did you see something you liked but didn't make it back to the cafe? Drop me an email and let me know! Or, if you missed out on something that sold at these shows or would like something similar but maybe smaller... a different color... or with some other customization you prefer... check out my commissions section of this blog to reserve your spot for commissions that can be completed in time for holiday gift-giving!